TU Eindhoven’s Data Science MOOC, Process Mining in Healthcare, starts on 7 August. The EDSA-endorsed MOOC, Process Mining in Healthcare, is now open for registration on FutureLearn. Led by Joos Buijs, a specialist in process mining in the healthcare domain, and assistant professor at the Data Science Center, Eindhoven University of Technology, this free online course will give you an overview of a new and exciting analysis method increasingly being used to support decision-making in the healthcare sector. Healthcare is under continual pressure to reduce costs while improving the quality of care. One way to achieve this is by further improving the efficiency of treatment processes: by making more efficient use of the scarce resources, only effective treatments are executed. With the advance of big data and increased support of information systems in the day-to-day healthcare processes, sufficient data is now being produced that allows us to find efficiency gains. Process mining is a novel collection of techniques that connects the areas of data science and business process management. Using process mining techniques healthcare processes can be analysed in great detail. Based on event data (what happened when, by which resource, and for which patient) process mining techniques can automatically discover process descriptions, describing the process flow of the majority of patient treatments. Existing process models or guidelines can be validated against the event data, in order to analyse deviations. Performance and bottleneck information can be projected on process models to easily detect where most time is spend in a process. Also the social network of how resources in a process collaborate and hand-over work, can be analysed, all based on the event data containing four columns: what, when, for which patient, and by whom. 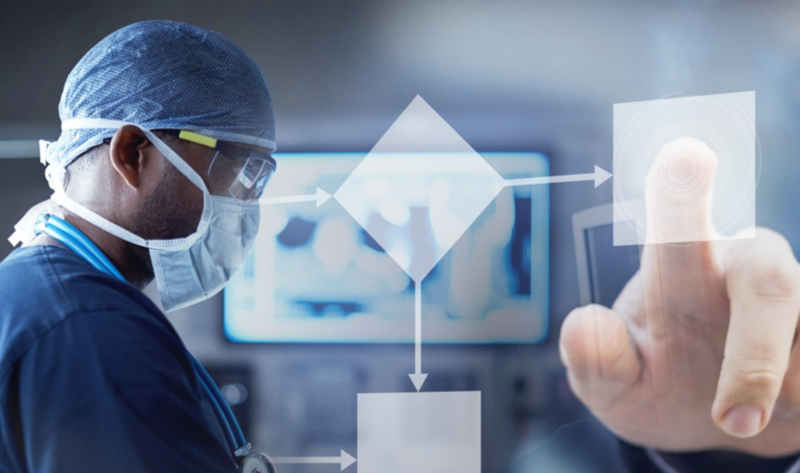 In this free online course you learn how process mining can provide answers to the most common challenges in healthcare. We discuss the healthcare environment, and spend significant time on how to get the right data. We also provide example datasets, both artificial and real-life, that is used in tutorials where our free and open source process mining software ProM is applied, by you! We also present several case studies, where process mining techniques have been applied in real healthcare organisations. For each case study we discuss the main goal, provide an overview of the obtained results, and provide the key conclusions and impact on the processes. These case studies are contributions by different partners. This course is an initiative of the EDSA and the Process Mining for Healthcare Consortium. To register, go to the FutureLearn course page.